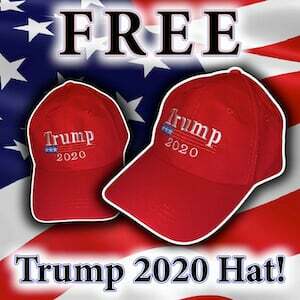 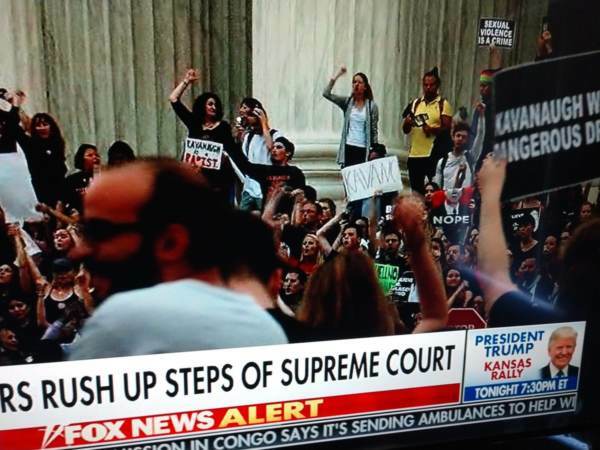 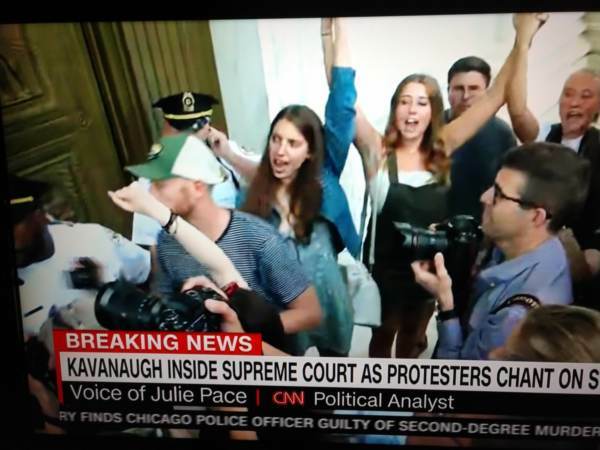 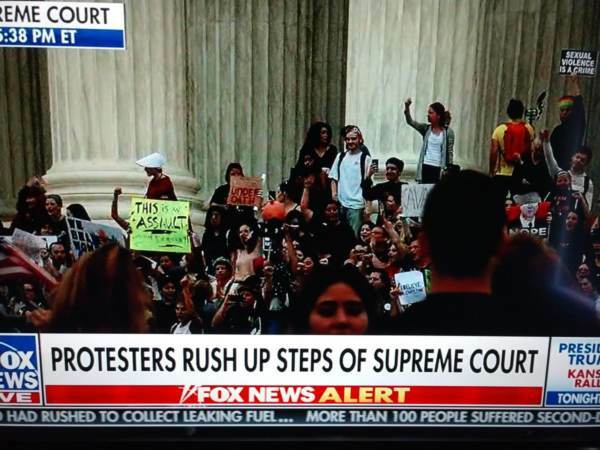 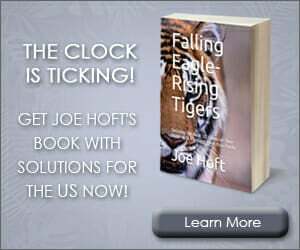 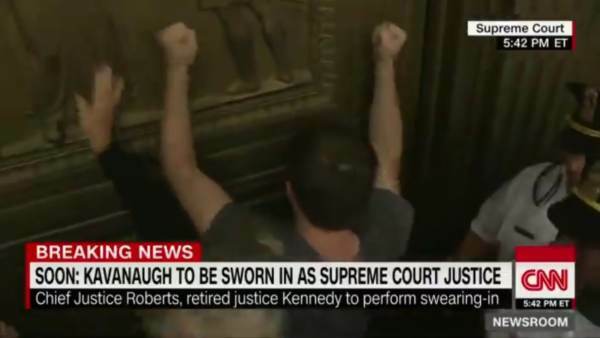 Anti-Kavanaugh Protesters Storm Steps of Supreme Court, Back Police Up, Pound on Courthouse Doors! 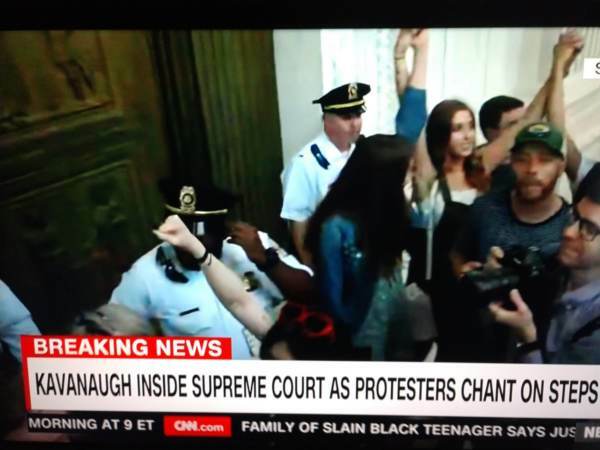 Hundreds of anti-Kavanaugh protesters stormed the steps of the U.S. Supreme Court as Judge Brett Kavanaugh was scheduled to be sworn in there following his confirmation by the Senate Saturday afternoon. 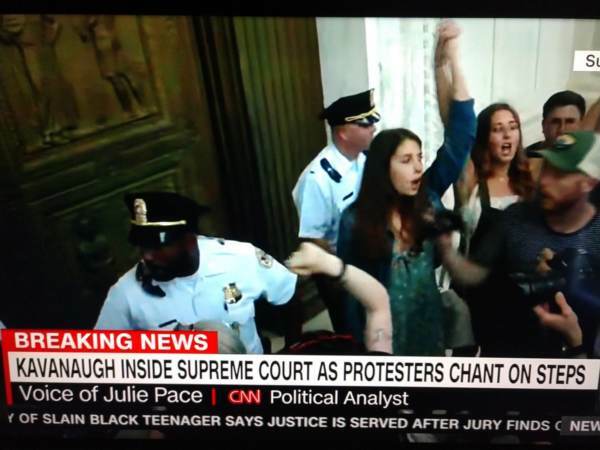 Screen images from Fox and CNN show the protesters backing police officers up the doors of the courthouse.